You usually don't have to worry about recharging a DriveNow. Normally, you simply jump into your the car, enter your PIN and set off. However, if the autonomy does happen to be less than 25% full at the beginning of your trip, or falls below this level during your journey, you get to benefit! 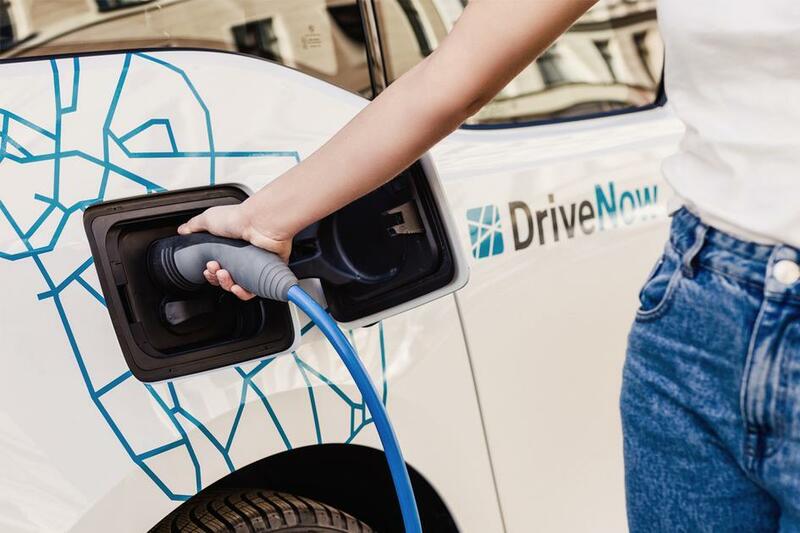 In this case, every customer that plugs the car to a charging point within the DriveNow Zone will be credited with 20 bonus minutes . No need to wait at the charging station - our team or maybe even another customer will pick it up from there once it’s fully charged! All our BMW i3 are now equipped with charging cables, located in the trunk of each BMW i3. Where can you charge the BMW i3? Charging points are displayed on the in-car screen (see navigation system under "Points of interest/Charging points") and can be entered as a destination in the navigation system. In the Interparking garages, the charging points are located near to the car sharing parking spaces. Below you can find a map with all the charging stations in Brussels. Park the car at one of the charging stations mentioned above and switch off the motor. Retrieve the charging card from the central armrest and tap it on the charging point in order to unlock it. Careful, if you charge the car at an Interparking garage, you should use the P-card to do this. The charging cable is located in the trunk of the car, simply attach one end to the charging station, and the other end to the car. Once connected, a flashing blue LED light around the charging socket on the car indicates that the car is charging correctly. Put then the charging card back in the central armrest and end your rental by locking the car. 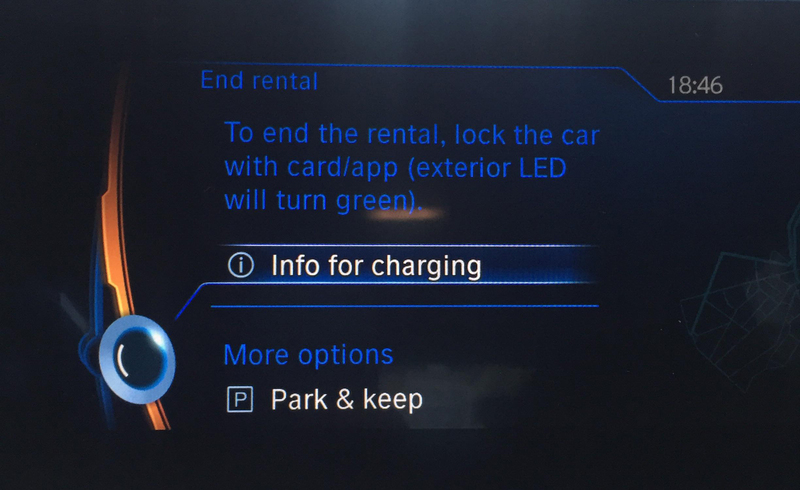 If you want to reserve a BMW i3 that is connected to a charging station, use again the charging card (or the P-card in Interparkings) to unlock the charging point. Unplug the cable from the charging point first and then from the car. Put the charging cable back in the trunk of the car and put the charging card back in the wallet in the armrest. Here you can find a map with all the charging stations in Brussels.